Balestier Point, a freehold mixed development which was completed in year 1986 with a total of 68 residential units and 51 commercial spaces could be put up for en bloc sale. Comprising of a 2-storey retail podium with a 18-storey tall residential tower, the reserve price for the potential collective sale of Balestier Point has been set between S$250 million to S$350 million. This works out to approximately between the range of S$1,337 to S$1,872 per square foot per plot ratio (psf ppr). The development is situated on a site with an area of 62,315 sqft and plot ratio of 3.0, is zoned for residential and commercial according to according to the Urban Redevelopment Authority’s Master Plan 2014. Based on the plan, a redevelopment could see the new building go as high as 36-storey tall. The owners of Balestier Point could be well motivated to offload their property as a recent transaction saw a 1,119-sqft unit on the 9th floor sold for S$1 million (or S$990 psf) in January 2017. Being a part of the rejuvenation plan of Balestier with Zhongshan Park and Zhongshan Mall, Ramada and Days hotels being the latest addition to this city fringe precinct, it is also within close proximity to the medical hub of Novena. 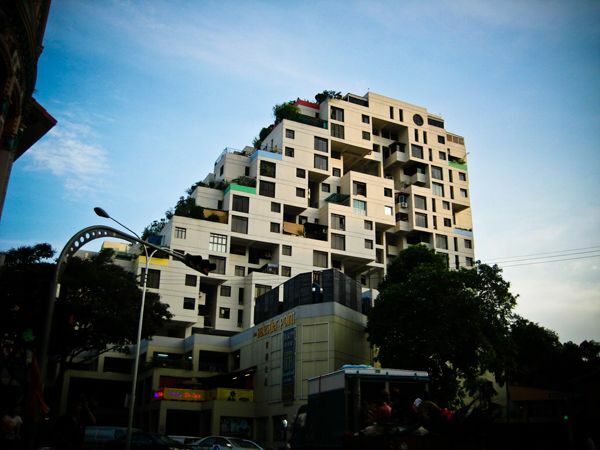 It is no wonder why owners will be banking on the potential that Balestier has. According to recent transactions from new launch projects in Balestier, a 84-unit freehold high-rise apartment at Jalan Kemamnan called Neem Tree, has recorded an average psf of S$1,559 (as of December 2015). The most recent en bloc sale which happened in Balestier was the former Diamond Tower (now known as SkySuites 17). The deal was concluded for an estimated S$49.6 million or S$582 psf ppr in April 2010. Earlier on, the mixed development Ruby Plaza (now known as The Mezzo) was transacted in July 2007 in a collective sale worth S$69 million (or S$582 psf ppr). Market watchers have mentioned that property developers may be on the lookout for collective sales as source of replenishing their inventory due to the cut in land supply offered via the recent Government Land Sales programme. However the challenge will be trying to find a price that matches both the buyers’ and sellers’ expectations. Then again, with developers facing pressure from the Additional Buyer’s Stamp Duty (ABSD) in place, they may also be more conservative with their offers for Balestier Point.